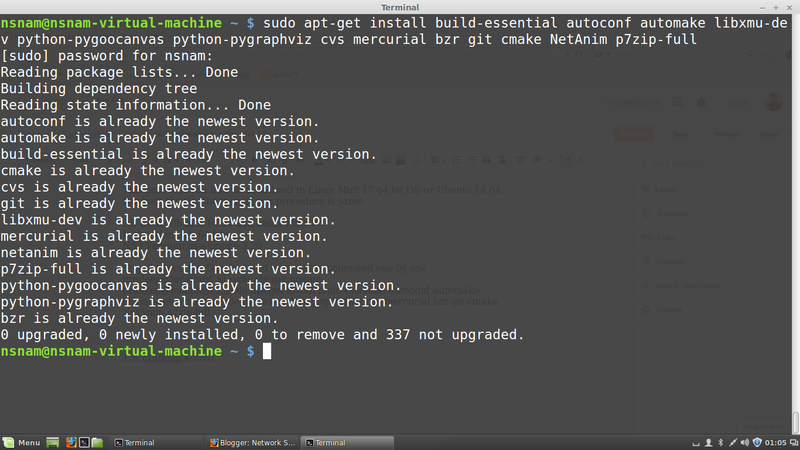 This post tells you how to install ns3 in Linux Mint 17 64 bit OS or Ubuntu 14.04. For both the OS, the installation procedure is same. the following screenshot shows the installation. 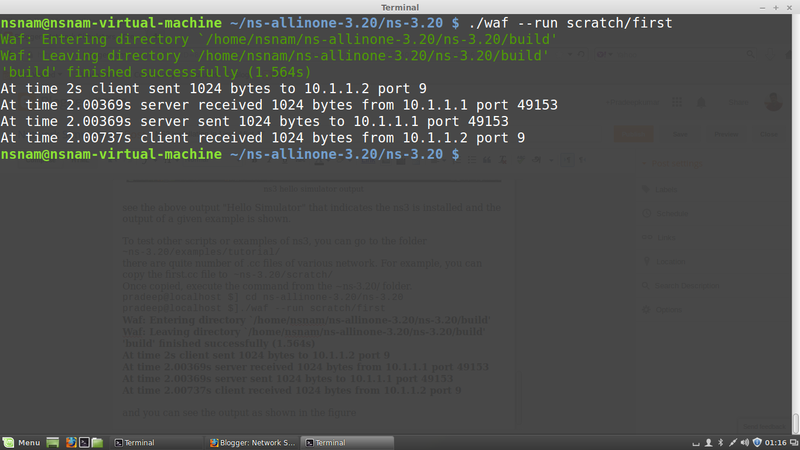 Step 2: Download the ns-allinone-3.20.tar.bz2 from the http://www.nsnam.org website. see the above output "Hello Simulator" that indicates the ns3 is installed and the output of a given example is shown. 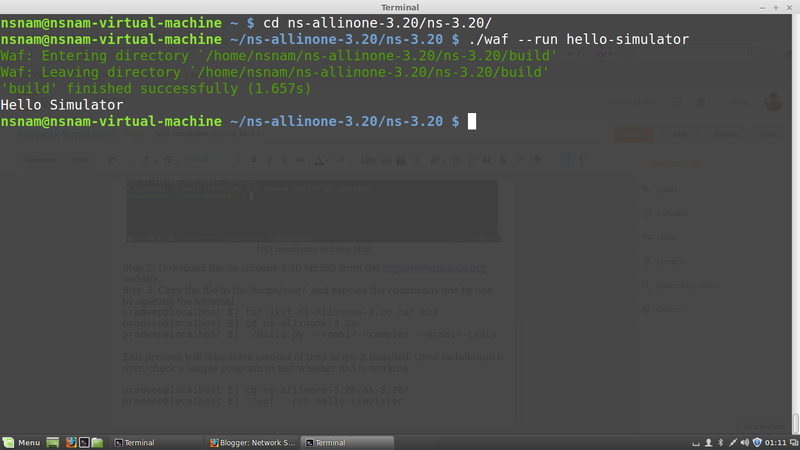 Once copied, execute the command from the ~ns-3.20/ folder. There are so many other examples in the examples/tutorial/ folder and you can try using these. if you have anything more to share, please respond in the comment section below.